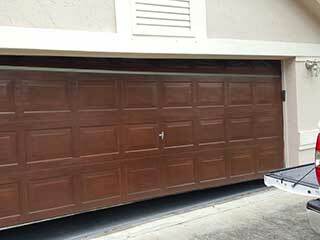 Home Services Garage Door Repair Why is The Garage Door Not Closing Fully? So you found a problem with your automatic garage door, eh? Don't you just hate that? Of course you do. These sort of issues tend to pop up when it's least convenient, often when you're in a hurry, and don't have time to deal with a non-responsive garage door. Well, before you go stressing over solutions, know that Garage Door Repair Natick offers same day repairs seven days a week, including Saturdays and Sundays. So whatever problem you may be dealing with, the nearest experts are available to help. Why Does My Garage Door Not Close All The Way? 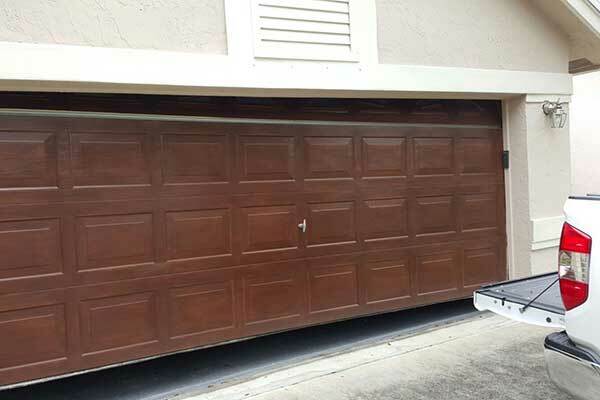 Garage door sensors misalignment – your automatic overhead door relies on a pair of photoelectric eyes in order to make sure it doesn't close down on you or any other person or object. When the two sensors, installed at the end of each vertical garage door track, are misaligned, the invisible infrared beam that normally connects the two is broken. This leads the garage door opener to think there's an obstacle in the way, which forces the door to open back up when you're trying to close it. Garage door opener travel limit switch needs adjustment – while your automatic garage door does have a pair of "eyes", those are the instruments it uses to know how far to open and close. The garage door opener, which is the electro-mechanical motor device that automates the system, has a set limit for travel. This limit is adjusted when the opener is first installed to ensure the door opens all the way and closes all the way. If the garage door isn't closing fully, there's a good chance the travel limit settings were changed, for whatever reason. LiftMaster garage door opener troubleshooting guides, which are part of the owner's manual, should have a solution for this sort of problem. The same goes for Chamberlain and Genie opener models. Of course, if the problem isn't solved you can always contact Garage Door Repair Natick for emergency assistance. Blocked or bent garage door tracks – yes, even though the door managed to get all the way open without issues (or maybe it made a lot of noise and you missed it?) now that you're trying to close the door you find it's unable to go all the way down. This could be attributed to damage or misalignment in the tracks. The damage could have even occurred while the door was opening. Repairing the bent track sections, if they exist, ought to allow the garage door rollers to move along them, which would solve the problem. But once again, if you're unsure as to what to do, you're better off contacting Garage Door Repair Natick for help. Regardless of which day of the week it is, if you're wondering why is the garage door not closing fully? The answer, and the fix for the problem, are both close by. Call Garage Door Repair Natick for expert services regarding all things overhead door-related. Never attempt any DIY repairs you're not qualified and experienced to perform. The affordable services you need are within a phone call away.